The International VELUX Award competition is now open for registration for 2018 and all registered students of architecture worldwide are invited to participate. Students are challenged to explore the theme “Light of Tomorrow” — to create a deeper understanding of this ever-relevant source of energy, light and life. The total prize money for 2018 is up to 30,000 Euro — 5,000 Euro are reserved for the Grand Prize winner(s). Participation is encouraged by multi-disciplinary teams including e.g. engineering, design and landscaping. The award seeks to challenge the future of daylight in the built environment with an open-minded and experimental approach. Therefore, the award seeks to widen the boundaries of daylight in architecture, including aesthetics, functionality, sustainability, and the interaction between buildings and environment. Every second year since 2004, the VELUX Group has invited students of architecture to participate in the International VELUX Award. 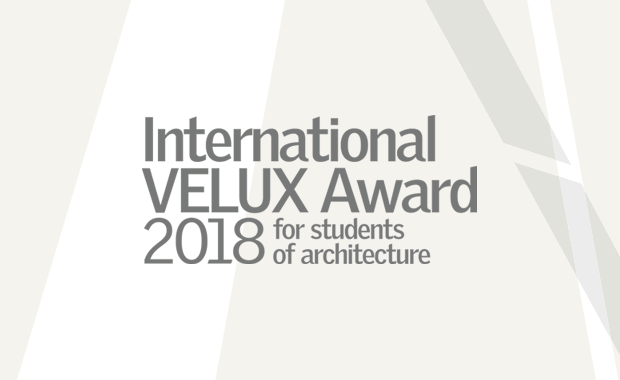 International VELUX Award 2018 is arranged in close collaboration with the International Union of Architects (UIA) and acknowledged by the following educational organizations: The European Association for Architectural Education, The American Institute of Architecture Students, the Architectural Research Centers Consortium, and the Association of Collegiate Schools of Architecture.